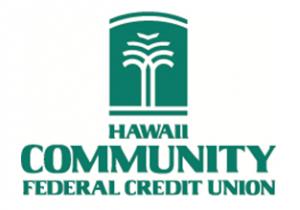 Hawai‘i Community Federal Credit Union (HCFCU) will feature the Hawai‘i Nikkei Legacy Exhibit at its Kaloko branch in Kailua-Kona beginning Nov. 1 at 11 a.m. and running through Nov. 28. The traveling photo exhibit will be free and open to the public and covers the history of Japanese-Americans in Hawai‘i. In the late 1800s, more than 180,000 Japanese contract laborers came to the islands to work on pineapple and sugar plantations, bringing their heritage and culture with them. The story of these “Nikkei”—Japanese immigrants and their descendants—is captured in the exhibit’s 150 pictures covering the 1885 immigration of Issei (first generation immigrants) up to modern day Hawai‘i. 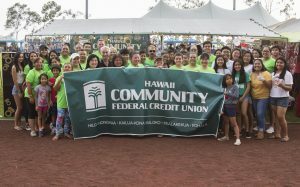 The community may visit the Nikkei exhibit at HCFCU’s Kaloko branch Monday through Friday, 8 a.m. to 5 p.m., and Saturdays from 10 a.m. to 2 p.m. For more information visit www.hicommfcu.com/nikkei. 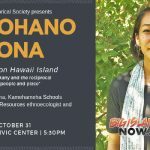 HCFCU is also planning free public events on Nov. 3 and 10 to further showcase the cultural connections between Hawai‘i and Japan. The events will include cooking demonstrations, calligraphy, origami, bonsai and more. HCFCU and the Japan-American Society of Hawai‘i (JASH) will offer the “Japan in a Suitcase” program at the credit union on Saturday, Nov. 3, from 10 a.m. to 2 p.m. Children in grades K–5 will have the opportunity to learn about the journey of Japanese immigrants to Hawai‘i from 1885 up to the modern day. The program uses photos, slideshows and Japanese-language instruction, while exploring items in various suitcases that show differences and commonalities between Hawai‘i and Japan. Level I — Kindergarten and Grade 1 (40-minute class): Keiki will learn simple Japanese greetings, experience puppet demonstrations of various animal sounds and Japanese gestures, and learn how to sing “Twinkle, Twinkle Little Star” in Japanese. 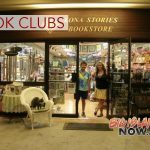 Level II — Grades 2 and 3 (45-minute class): Students will be shown photos of common restaurants and businesses in Hawai‘i and Japan, and learn about yen (Japanese currency), food, clothing and various aspects of Japanese elementary schools. Level III — Grades 4 and 5 (60-minute class): Students will compare a Japan-centered and a U.S.-centered world map to show how people see or depict things differently depending on where they’re from. Spaces are limited and registration can be arranged by contacting Nellie Medeiros at marketing@hicommfcu.com or calling (808) 930-7700.